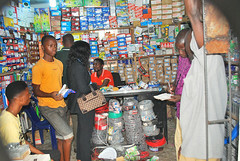 The Delta State Government is set to begin the 2016 Cycle of its Skills Training and Entrepreneurship Programme (STEP), the Youth Agricultural Entrepreneurs Programme (YAGEP) and the Graduate Employment Enhancement Programme (GEEP). 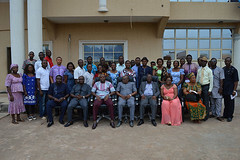 The Chief Job Creation Officer, Prof Eric Eboh, disclosed this during a workshop organised to interact with resource persons selected to train YAGEP trainees on instruction on Fishery and Crop Production at Songhai Delta, Amukpe in Sapele Local Government Area. Prof. Eboh added that the training at Songhai Delta would comprise classroom based training and practical demonstration after which they would be posted to accredited farms across the state for internship. 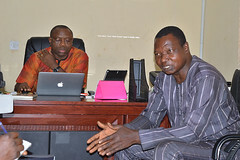 He said the State Government will, after the trainings, establish them in clusters of fish and crop farms across the three senatorial districts in the state. 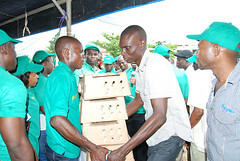 He also charged the resource persons to build the confidence and competencies of the trainees by inculcating in them high quality farm management skills and knowledge. 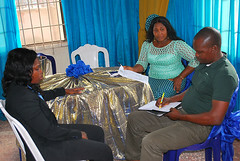 Some of the courses in the curriculum under Fishery are Hatchery Management- management of fries and Fish Techniques and Administration while Crop Production has courses on Maize, Rice, Cassava, Plantain and Oil Palm Farming. 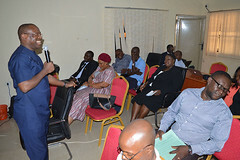 In a similar development, the Chief Job Creation Officer, Prof Eric Eboh, has tasked Orientation Resource Persons for the Course on Personal Effectiveness for trainees into the 2016 cycle of STEP, YAGEP and GEEP to motivate trainees to be disciplined, dutiful and regular in all training sessions and activities. He said the Orientation Camp for the trainees is aimed at promoting mind-set change, life skills and personal effectiveness to prepare them as entrepreneurs, managers and leaders. He pointed out that the Graduate Employment Enhancement Programme (GEEP) is designed to encourage unemployed graduates with professional training and with good business plan to partner with one another in order to establish a business together with emphasis on agro-processing.